Gone are the days of heavily relying on windows PC for browsing the internet. A lot has changed in the last decade and one of the these changes is clearly visible in the mobile technology industry. Now, you can browse the internet and carry out several tasks online on the go right from your Android mobile smartphone. But your browsing experience on your smartphone is determined by the type of mobile web browser you used while surfing the net so in this article, you will get to know the best web browsers for Android phones. Because of the huge popularity of Android smartphones all over the world, a lot of app developers has developed so many web browsers as can be seen on Google Play Store but most of these browsers are just not good enough while some are top notch and brings PC experience on your Android phone. These mobile web browsers are one of the most important apps in any phone because it gets you connected to the world. For students, it’s very vital for research purposes, assignments and projects writing. For a marketer, the web browser is useful for feasibility studies, market focast, keeping track of current price of goods, advertisements and lots more. While for many others, web browsers help us keep track of the latest news and happenings around us. In fact, the importance and benefits of mobile web browsers to Android users can not be overemphasized. So without wasting much time, let’s take a look at the best 6 web browsers for Android Smartphones right now. 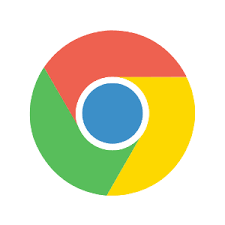 Google chrome features Google’s Safe Browsing which gives you warning when you click dangerous links. It’s the best web browser for submitting job applications, WAEC, JAMB, GCE, Post UME and every other Examination registrations online. Download the app from the link above and enjoy even more features. Download the app from the link above to enjoy more features. 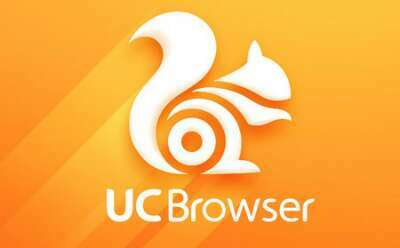 UC Browser is one of the best web browsers for Android phones with so many features and data saving options. UC Browser by UCWeb is the top used mobile browser in India with a market share of 49% according to StatCounter as of August 2015. In the United States and Nigeria, it’s rated second just behind Google Chrome. Similar ratings are applicable in several other countries. 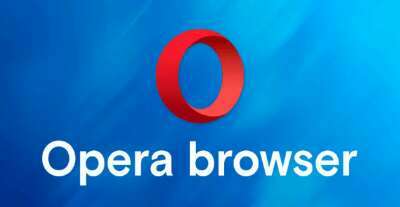 Just like Opera, there are two versions of UC Browser – UC Browser and UC Mini Browser (lite version). You can download the browser app from the link above or download UC Mini Handler with VPN features if you need even faster browsing experience. This is one browser that came out newly in 2016. It has many features built into it such as as blocker. In addition, it can block third party cookies, block scripts, and it has HTTPS everywhere. Added to this features is per-site setting just in case you are in need of that. There are optimisations for speed and battery life Improvements. You can have track of all what the browser blocks. It is a very functional browser and it is fun to use. The basic feature you find in other browsers are there like bookmarks, history, and a privacy (incognito) mode. 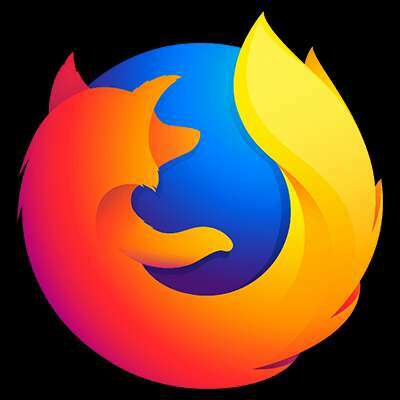 One of the oldest web browsers on desktop computers, Firefox has found its way to the Android and mobile platform and stands tall among the best web browsers for Android right now. The mobile version of Firefox is similar to its desktop version. Aside the essentials features it has, it features HTML5 support, firefox sync, add-ons support, and allows multiple panels. The browser allows you to send video and web content from your phone to any TV which supports streaming. It is a secure Android browser and you can download it for free on the Google Play Store. You can download and install the browser from the link above. 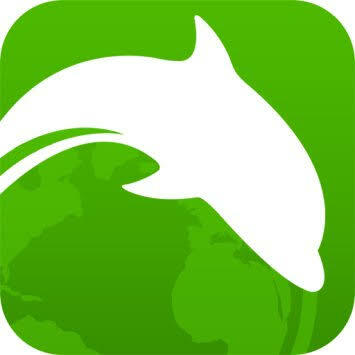 One of the newest browsers on Google Playstore for Android phones, Dolphin was launched four years ago and have managed to stay relevant with certain features like Dolphin Sonar, which gives you opportunity to search for things with voice (“search Amazon for Nike Shoes” and “go to Facebook.com”), and also share stuffs to social media websites. Sure these things can be done with artificial intelligence assistants today, but it is very great for it to be in a browser. You can bookmark web pages with finger gestures. Webzine allows you to have more than 300, web sources aggregates on your Palm. Get the browser from the link above. These web browsers comes with unique features that distinguished them from others. The type of web browser you use is determined by what you want to use it for. For instance, if you want to save data and battery, go for opera mini or uc browser. But if you want to sign up for stuffs online such as creating an email account, registration of exams, checking results online, buying stuffs online, then you definitely need Google Chrome Browser. For downloading stuffs, UC Browser is the best alternative for that. Now you have the list and can make your choice for best web browsers. Thank you for reading my article again today.